Here are a few of our most amazing instructors. Tim grew up in Westport Co. Mayo, Ireland, beginning his career at his grandmother’s riding school, Knappa Beg Stables. The A pony clubber first came to the United States to work for eventing ledgend Bruce Davidson for two years. After a quick year back in Ireland working for show jumper Jonathan Reape, Tim was afforded the ride on Luckaun Quality, who he ultimately brought back to the States with him, when he returned to join Sharon White’s Frontier Farm as assistant trainer. Tim worked for Sharon for six years and had the opportunity to ride and compete all of the sales horses and develop a widespread student base. In that time he gave many “Tri-State” lessons and participated in Sharon’s wonderful Tri-State Summer Camps. Tim has established himself as a top rider and sought after trainer and is a fan favorite at Tri-State for his serious training but fun delivery in lessons. Tim’s Bourke Eventing has since located to its own 70 acre facility at Stone’s Throw Farm in Berryville, VA.
Tim was named to the Irish High Performance list and is looking forward to the development of future success of his own riding and training farm the Bourke Eventing. 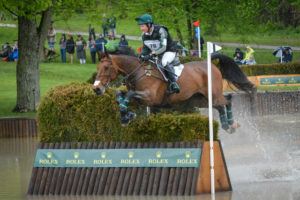 In 2015, Tim and Luckaun Qaulity completed the Rolex Kentucky CCI4* where they were the highest placed Irish pair. Tim has since finished in 11th at Rolex in 2016, won the Bank One Trophy as the highest placed owner-rider, and 16th in 2017. Mary Flood is renowned in dressage circles for her FEI level success as a competitor and trainer of scores of successful dressage horses and riders, but to Tri-State, she is a voice of reason to a group of enthusiastic equestrians, many with little or no formal dressage show experience. 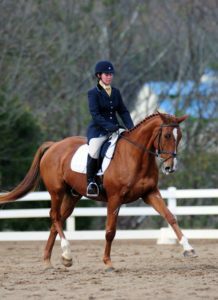 In addition to her long list of accolades in the saddle, which include numerous USDF Horse of the Year Awards from second level to Grand Prix, Mary, a USDF Certified National Level Instructor, is adept at breaking down the complicated and the sophisticated for novice level consumption. She will get to the root cause of issues and provide exercises to help riders help their horses find balance and progress. Since 2010 Mary has generously provided regularly scheduled group and semi-private lessons, generally twice weekly, woven in among her full training business at her expansive Wildfire Farm in Lovettsville. Her facility provides both indoor and outdoor riding arenas, facilitating all year lesson opportunities. Mary has also participated as an instructor in Tri-State’s adult summer camps, hosted at her farm. Melissa is a Pennsylvania transplant who spent 13 years at the heels of eventing titan Phyllis Dawson. Melissa came up in the eventing world and rode anything and everything. She looked to each horse for the unique lesson it could provide. Melissa produced horses to the four star level, and everything in between, with pride and patience. Melissa is a Level 3 ICP Instructor, and has been providing regular Tri-State instruction at several venues for many years. Her teaching style appeals to riders and horses of all personalities and abilities, Melissa is committed to working with each horse and rider as an individual, and structuring a program to help them reach their individual goals, whatever they may be. 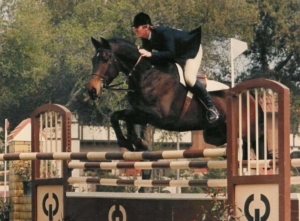 Mike Jennings started riding as a very small child, taking lessons on gaited ponies. However, the western lifestyle called his name and he gravitated to all things western – reining, roping, spurs and cowboy hats. He has spent his life surrounded by horses, as an auctioneer, auction manager, horse show judge and competitor, stallion manager, appraiser and marketing consultant. With his brother he managed a successful auction company for 34 years which accomplished actual sales of over 50,000 horses and grossed over $200 million. In the arena he was NRHA Reserve World Champion Ltd Non Pro Reiner and Congress Reserve Champion in Reining, and has been a winner in Reining, Cow Horse, Cutting and All Around events. As a breeder, he has been breeding American Quarter Horses since 1970; and has been selling and buying horses since 1966. He also judged AQHA-approved shows for 33 years, including the AQHA Youth World Championship Show, and 7 international events. 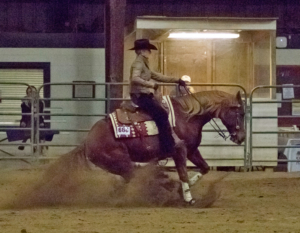 Mike is currently an AQHA Professional Horseman and a member of AQHA Team Wrangler. He and his wife, Stephanie, co-manage Professional Horse Services, an online auction service used to market and sell horses. He and Stephanie also hold clinics and give private lessons from their farm in Round Hill, Virginia. Horses have been the center of Stephanie’s life since she was a small child. 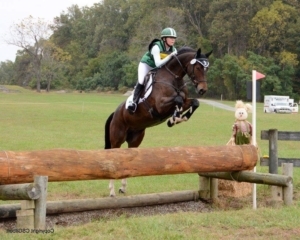 As a youth she participated in both 4-H and pony club; and has ridden and competed successfully in many disciplines and events. She competed successfully at a national level and her awards include 1987 NRHA World Champion Limited Non Pro Reiner, Champion Amateur Working Hunter at All American Quarter Horse Congress 3 times, and 3rd place finish in Amateur Hunter Hack at the AQHA World Championship Show. She has also competed in Dressage, Combined Training, USEF and AQHA All Around classes which include western pleasure, western riding, horsemanship and equitation. With her husband Mike, Stephanie currently co-manages Professional Horse Services, an online auction service used to market and sell horses. She and Mike also hold clinics and give private lessons from their farm in Round Hill, Virginia. Bruce Leland has been a professional horse trainer for more than 40 years. As a young man he rode with and learned from Mitch Steege, Henry Hulick, Gordon Wright and Bertalan DeNemethy. He also studied Classical Dressage for ten years with Elvira Luehr, the trainer of Dr. Reiner Klimke. Bruce has ridden, trained, coached or sold USEF Zone Champions in virtually every Hunter and Jumper Division and has trained National Champions in The US, Canada and Mexico. A former Grand Prix Show Jumping rider, he has produced winners all over the Country and has imported horses from all over the World. He has teaches his “Rhythm and Flow” Clinics throughout the US and in numerous other Countries. 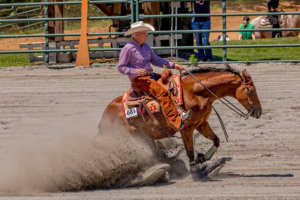 Formerly associated with The Malibu Riding and Tennis Club, Cross Creek Farm in Tucson, Az and Club Hipico del Sureste in Merida, Yucatan, Mexico, Bruce currently operates his Old School Farm out of several locations in Loudoun County Virginia. Alyssa is Last Frontier Farm’s Assistant Trainer. 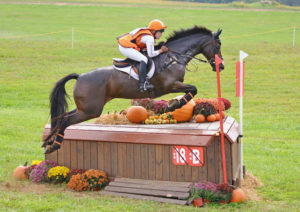 She came to Last Frontier Farm in 2011 from Maryland, having successfully competed her own Stormin’s Barbie through the Advanced level and earning Team Silver at the NAJYRC. A truly superb horsewoman, Alyssa is an “A” Rated Pony Clubber and retrains Off-the-Track Thoroughbreds and also breeds her own. She competes Last Frontier Farm’s young and sale horses along with her homebred Stormin’ Truth and R Perfect Storm. She is a fabulous teacher and patient rider, and we all appreciate her never-ending patience and kindness! Sharon White, an established advanced level event rider, operates out of her Last Frontier Farm in Berryville, VA. Sharon, and members of her team, have been providing dressage, stadium and cross-country lessons to Tri-State members for over a decade. Also, Sharon has generously provided several weeks of adult summer camp for Tri-State riders. Sharon is known for her absolute dedication to her horses, her students, and Last Frontier Farm. Sharon credits her success as a rider to the years of quality training she received from the best international event riders in the world. These include Bruce and Buck Davidson, whom she worked for at their Chesterland Farm, Torrance Watkins, for whom she worked while obtaining her degree, and Mary Flood who steadfastly built the foundation Sharon needed to succeed. More recently the coaching of the inimitable Jimmy Wofford and Jules Nyssen has been instrumental in giving Sharon a competitive edge.